Volkswagen of America has launched a new television commercial highlighting the sturdiness of the 2011 Tiguan Compact SUV. 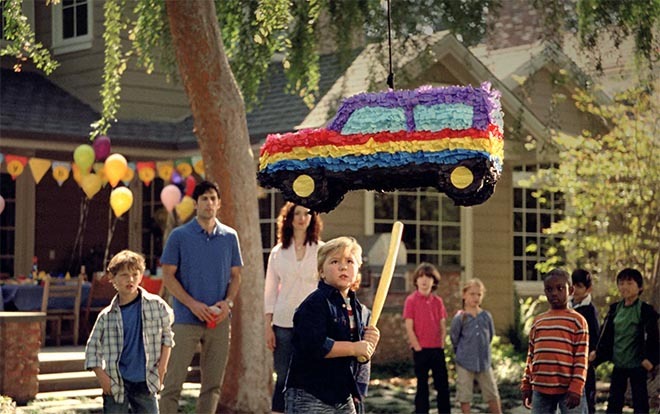 A young boy attempts to break an SUV-shaped piñata at a birthday party, but has no joy. The pinata remains unscathed even after one of the dads picks up the baseball bat and has a go. The new Tijuan series was developed at Deutsch LA by chief creative officer Mark Hunter, group creative director/copywriter Eric Springer, group creative director/art director Michael Kadin, director of integrated production Vic Palumbo, director of broadcast production Victoria Guenier, senior producer Jim Haight, group account director Tom Else, account director Chris Carter, account supervisors Pari Zahabi and Kristie Weston, chief strategic officer Jeffrey Blish, account planner Doug Van Praet, working with Volkswagen of America VP of marketing Tim Ellis, general manager brand marketing Brian Thomas. Filming was shot by director Noam Murro via Biscuit Filmworks, Los Angeles, with director of photography Simon Duggan, executive producer Shawn Lacy. Editing was done at Cut + Run, Santa Monica. Colorist was Stefan Sonnenfeld at Company 3, Los Angeles. Visual effects were produced at Brickyard, Santa Monica, by online/VFX supervisor Mandy Sorenson, executive producer Jeff Blodgett, producer Linda Jackson. Sound was designed at 740 Sound Design, Los Angeles, with executive producer Scott Granary. Sound was mixed at Lime Studios, Santa Monica, by Mark Meyhaus.